With Pushsafer's Firefox Share Service, you can easily send URLs, image URLs or selected text from your desktop browser to your mobile devices with just one click. To get started, you need to install the service by clicking the button below. 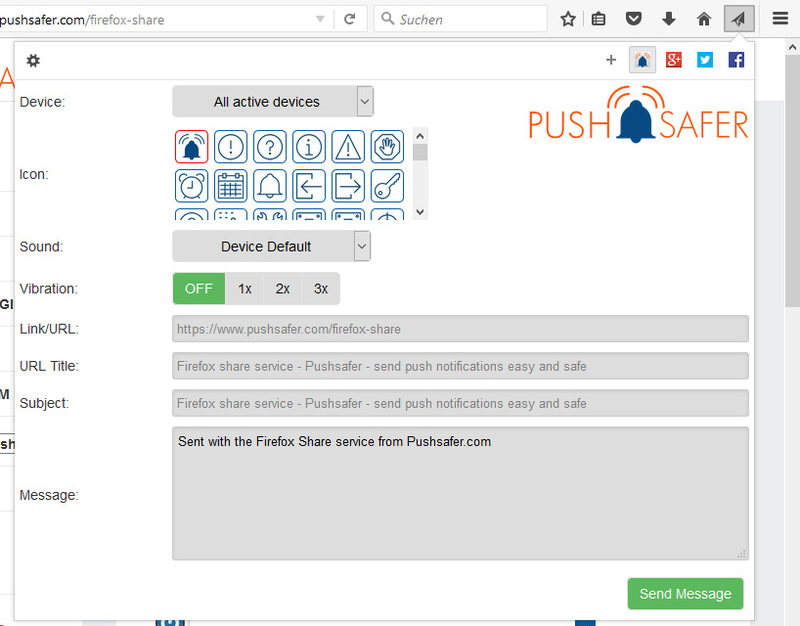 You have to use Firefox (>23) to install Pushsafer's share service. At the confirmation dialog that will appear in the upper left of your browser, click "Enable Service". Once the service is installed, you can click the paper airplane icon in your Firefox toolbar (upper right) on any webpage to send it to your Pushsafer devices.